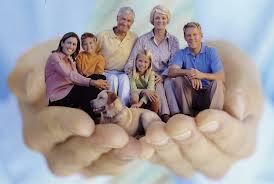 Indexed universal life insurance policies, also known s IULs, offer many benefits to the consumer. These life insurance policies can build up cash value and be reflected on the personal balance sheet of the owner just like any other asset. The cash value contained within a life insurance policy is considered by many to be an ideal location for cash savings. Even Warren Buffet, the legendary investor, considers his cash value life insurance to be one of his best investments. You can also take guidance of Your Personal Financial Mentor in order to understand the different features offered by life insurance policies because being an expert, he has sound knowledge of the policies and can guide you according to your financial targets. Indexed universal life insurance policies have investment returns that are tied to some underlying investment index. Equity-indexed policies are typically tied to the S&P 500 index. Bond-indexed policies could be tied to a number of well-known bond indices. Some policies, which take more of a balanced approach, may be tied to a diversified basket of indices. Often, the owner can allocate the percentages of his or her premium dollars to the indices desired. The benefit to the consumer of having an equity-indexed policy is the ability to participate in above-average returns. Plain-vanilla whole life policies typically earn a very modest rate of interest on cash reserves, while indexed policies can earn returns in the double digits. The downside is that the owner takes greater risks with an indexed policy, but protections are usually in place with these policies so that the owner’s losses are limited to some predetermined amount. Even in down markets, therefore, the owner retains a significant amount of prior gains. An additional benefit related to these policies is their flexibility. Owners can increase or decrease their contributions to the policies as they see fit. During difficult personal financial periods, the owner can even stop paying premiums completely. The cash value of the policy is then used to cover the insurance charges. During prosperous times, the owner can over fund the policy and build up reserves even faster. Indexed universal life insurance policies can become excellent tools for building up one’s balance sheet. Further, many policies give the owner the benefit of raising or lowering their coverage amounts as needed. So, should a life event occur that creates the need for additional coverage, the policy can be adjusted accordingly. The most common occurrence is the addition of a child to the owner’s family. Rather than going out and purchasing a new policy, some universal life policies allow the coverage to be increased with a simple request from the owner. With such flexibility, indexed universal life insurance is an ideal choice for young, growing families.